Accessories for this tank bag include a map pocket, an optional organizer bag and two different types of GPS holders. • Waterproof, molded 195-gram jersey-knit material outer shell. • Easy access waterproof zippered main compartment with clear window. • Foam inserts ensure the best fit possible for multiple GPS sizes/styles. • Adjustable bracket allows the rider to adjust the unit as necessary. 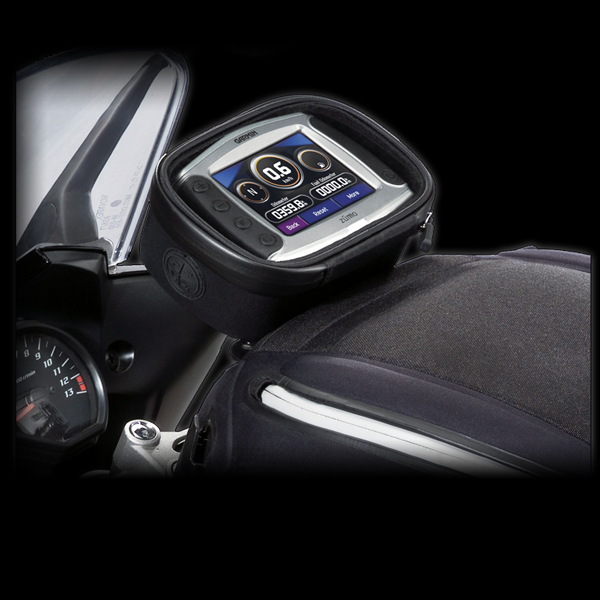 • Water resistant audio ports allow the GPS to be hardwired to the motorcycle. • Direct mount bracket will mount to most motorcycle-specific GPS.